Miami Lakes, Florida Less than fifteen years old, Miami Lakes Florida was incorporated in 2000. 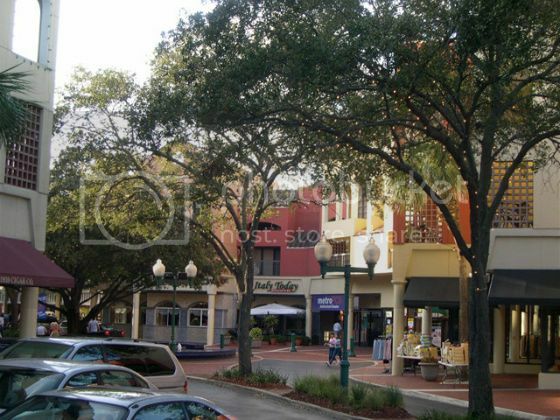 This is a beautiful place to live, work, or visit in the Sunshine State. This gorgeous 3,000 acre town has more than 27,000 residents and just under 2,000 businesses. Miami Lakes differs from the areas surrounding it in many ways, but the most striking features are the curved lakes and numerous tree lined streets. This beautiful city is full of things to do and see - visitors can even rent a car in Miami Lakes to make traveling from place to place much simpler. Not only does Miami Lakes have twenty three bodies of water tucked between neighborhoods, it is full of parks and recreation areas as well. With almost 100 parks, Miami Lakes has a place to relax within walking distance, no matter where a person is. For recreation, Royal Oaks Park has athletic fields and a butterfly garden, and Miami Lakes Optimist Park has even more athletic fields, a lighted walking path, and batting cages. Although when in Florida, the conditions are ideal for spending time outside, Miami Lakes has many indoor places that are worth visiting, too. The Main Street Playhouse's resident comedy show features Laughing Gas, a well known comedy troupe. 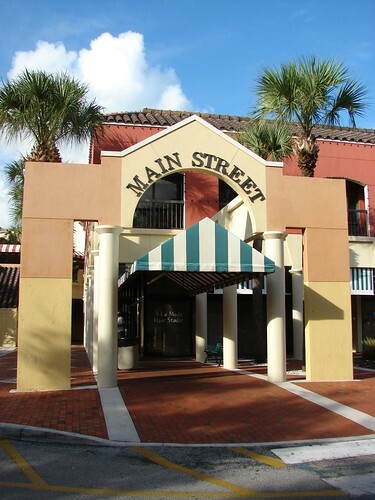 Seven shopping centers cater to the needs to locals and visitors alike, with area-unique stores and restaurants like Mia - a women's apparel shop, Rick's Cabinet Tree - a furniture store, and The Holiday Bakery. Also available are standard fare and shops like Target, Einstein Brother's Bagels, and Buca di Beppo. For both high end and everyday items, Miami Lakes is well stocked. Restaurants are also plentiful in the area. Places like The Beverly Hills Cafe, On The Border, and Anthony's Coal Fired Italian are great places to visit to get a taste of Miami Lakes. For those that are less adventurous, this area also has chain restaurants like Carabba's, Johnny Rockets, Outback, and Chick-fil-A. For those that need a place to stay while in Miami Lakes, there are plenty of hotels nearby. The Mariott, Holiday Inn, and Howard Johnson chains are all prevalent, as are the smaller local facilities. One of these, Shula's, is more than just a hotel - it is also a golf course and steak house serving delicious food year round. If it is necessary to rent a car in Miami Lakes, these hotels are ideal places to keep the vehicles safe as well as offer visitors a place to recharge and take a break from their travels. Miami Lakes is just on the outskirts of the Everglades, and only a half hour from gorgeous Miami Beach. With many things to see and do, visitors are sure to be kept quite busy in this bustling town, and the area around it. Although not one of the best known places in Florida, Miami Lakes is constantly changing, growing, and adapting to the times - although there are still places that offer views of a few cows grazing on the land, as they did before the city was built.